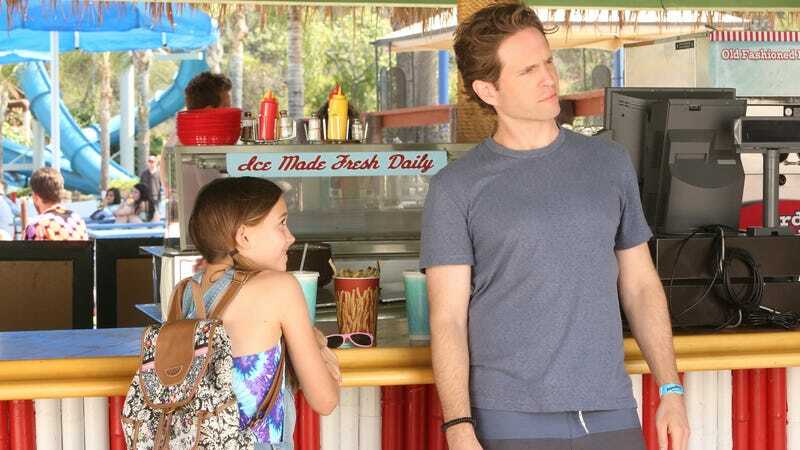 When It’s Always Sunny In Philadelphia co-creator and co-star Glenn Howerton was cast as a dirtbag philosophy professor in NBC’s A.P. Bio, it shed doubt on his ability to continue playing the comic dirtbag with which he made his name, Always Sunny’s Dennis Reynolds. Adding to that doubt was the end of the show’s 12th season, in which Dennis went against The Gang’s natural disinclination toward responsibility and accepted the mantle of fatherhood, leaving Philadelphia behind for North Dakota. He’s just not leaving It’s Always Sunny In Philadelphia. Speaking with the Television Critics Association today, Although some of the upcoming 13th season has been written around Dennis’ absence—including a distaff rendition of season ten’s beer-soaked “The Gang Beats Boggs”—Rob McElhenney and Charlie Day both confirmed their longtime collaborator’s involvement. “He’s in pretty much every episode,” McElhenney told reporters.